Kick ’em Jenny, an underwater volcano off the coast of Grenada, is threatening to explode. The University of the West Indies at Trinidad is tracking the activity and has raised the alert level from yellow to orange. In other words, it is not an imminent threat to anyone, but there is increased seismic activity. 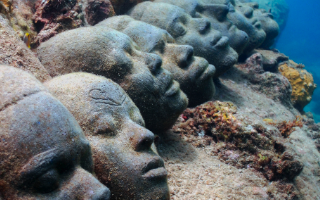 The minor quakes and “gassing” are being tracked, and it seems the immediate area under threat is the incredible Grenada Underwater Sculpture Park. Jamaica is not in danger, according to authorities. I wonder where the name came from?